Simply one of the most beautiful and best Spyro games ever...one of the best...>D Spyro 1 FTW! Guys, this is SIMPLY the original game. There is NOTHING new or improved. It is ripped DIRECTLY from the most recent run of the game (Greatest Hits). We know...well at least I do...I dunno about Spyro fan-8. i'm GLAD this is out! Cuz i let me friend borrow my copy of it and.. when he returnede it... it was ruined and it doesn't even play..
yeah! the best orginal ever!!!!!!! That was my absolute favorite game back in 2000! What are they thinking when they're doing that? Do they think they can borrow the sadness of having to wait so long for real news just reviving some "so beloved yet old" games they've alreadyforgot and put it in hands for "Classic Series" to people to download? Come on! WAY MORE PEOPLE LOVE THE OLD SPYRO'S MUCH MORE THAN THE NEW. WTH is with you . Breath . 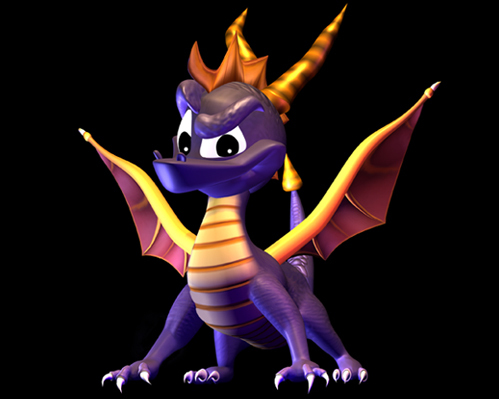 Gosh , most people will be rather happy , because they needed a reminder of the past and what Is and Was Spyro The Dragon . Now, when they fix the friggin' graphics, I'll buy it (and the other two), but otherwise, it's simply a waste of money. hey them graphics are good and why mess with a classic? hey them graghics are good and why mess with a classic? A classic stays a classic. Now, when they fix the friggin graghics, I'll buy it (and the other two), but otherwise, it's simply a waste of money. You should be happy they even exist. Yay! Always wanted it! I hope they will have the first game. Yay! Now I can order that game online! lol they said new characters. i thought they meant other than bently and agent 9,ECT. Because the graphics are pixelated crap. ._. You are NOT the one to be telling myself or anyone what they should be happy about, especially when I prefer LoS. So I can download Spyro: Year of the Dragon the game? i already have tis game...i.is.set! HAZZAH! !IMA PLAY IT RIGHT NOW!AND I WAS JUST ABOUT TOO!! Wow. I thought you liked those series and preferred it to TLOS. Well, most games have their differences, like some games have bad graphics, but the gameplay is good, and some games have good graphics, but gameplay, not so much on that. We should learn to accept these differences. Hm. Nice but don't you think it would be even better if they made the original trilogy for say the PS2 and PS3 with original gameplay, voice actors, character models and so forth but new and improved graphics? That would get Spyro back on track, don't ya think? Oh great there's a guy that loves games that are older than he is. I just thought it was awesome how kids nowadays love the Spyro series whom are younger than the original game itself. It proves that the Spyro game has come a very long way since it has first came out. Oh look, a little REAL Spyro Bias person. I already got the game and finished it! Same with me, too bad these were the old days, and not today. Time sure passes by when you don't want it to. I've heard british people say it before. Like the marksman guy from "the league of extraordinary gentlemen" and I think eddsworld did at some point. But that is besides my point. 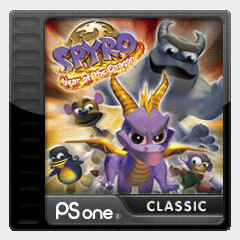 What about the whole "this is the best Spyro game ever" thing? Ripto's rage was pretty good. It had alot of new, fun elements to the game such as hovering, better boss fights, etc. I KNEW IT!... Whatever happened to Dragon time anyway?... You should bring that up in your abridged series! How do you "Ask Sierra?" Simple FaQs or does this site have connections with the company?